Surface laptops are the in these days that grabbing the attention of many people. It is lightweight, looks awesome and doesn’t prick your pocket. However, those who own the Surface laptops know that it comes with one drawback that it has Windows 10 S operating system. Well, the good news is that you can upgrade your Surface Laptop to Windows 10 Pro that too without paying a single penny before the end of 2017. Windows 10 S if you all know is a lightweight version of Windows that can be installed easily, not online though. Microsoft blocks the users and doesn’t allow them to install the programs through the web. This clearly means that you can’t download iTunes to transfer your music to your iPhone, professional software like Photoshop isn’t available and you can’t enjoy many more such features like this. You don’t have to be disheartened as you can upgrade Surface Laptop to Windows 10 Pro. Once you have upgraded, you can install programs from the internet or other sources as well. Doesn’t is sounds good to upgrade your Surface laptop to Windows 10 Pro. If it sounds cool to you and want to upgrade your Surface laptop to Windows 10 Pro, follow the below instructions. This article will help you to upgrade your Windows 10 S to Windows 10 Pro. 1. First and the foremost step is to put your Surface Laptop on charging as Windows 10 upgrades are not allowed if your system is not put in power. 2. Back up any and everything that’s important to you. Move your Surface Laptop data to a flash drive, external hard drive or Microsoft’s One Drive cloud storage. 3. Press the Windows key on your keyboard. Open Start menu or click the Windows button in the bottom-left corner of your screen to open Start. 4. Click on Store icon to open it. Out there, you’ll find a search box at the top-right corner of the Windows Store. Type Windows 10 Pro in the search bar. 5. Click on Windows 10 Pro Upgrade in the drop-down menu. 6. Windows 10 Pro upgrade page will open. As of now, there is a promotional offer going on where you can upgrade Windows 10 S to Windows 10 Pro free of cost. Later, the upgrade will cost $50 after the promotion ends at the end of this year. 7. Click on Free button. The following steps are easy to follow as Windows Store will keep guiding you throughout. Once, you are done, there will be prompt that will appear on your screen when the upgrade is complete. 8. 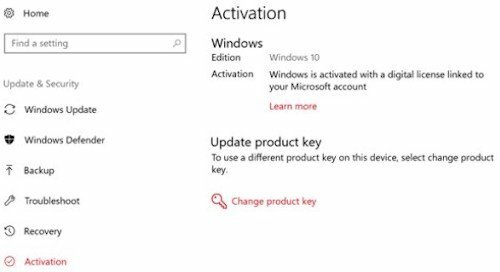 Now, it is time to confirm if Windows Store has activated your new copy of Windows 10 Pro. Open the Settings app from the Start area. Click on Update & Security and here you will find an Activation option on the left hand sidebar. 9. On top of the Windows, you will see that your Windows 10 Pro upgrade is active. 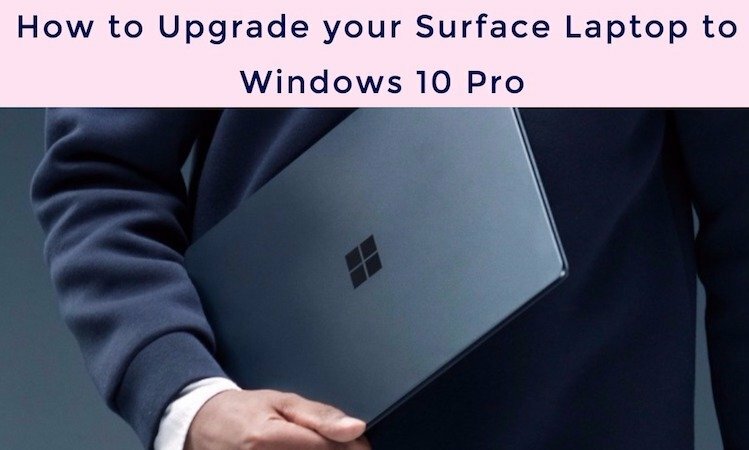 That is it, this is how you can upgrade your Surface laptop to Windows 10 Pro that too in a matter of few clicks. Now you can download and use any of the programs available on the Internet. The best part is that you don’t need a strong internet connection for the upgrade, you can do this with ease even if you have Wi-Fi hotspot on your smartphone or any Wi-Fi connection available nearby. You’ll need the high-speed internet connection for unlocking the upgrade in the Windows Store. That’s all. However, if after the Windows 10 S to Windows 10 Pro upgrade, you feel you don’t like it, you can get back within one month of this upgrade. After this, you won’t be able to get back. For going back, you will need a high-speed internet connection and a flash drive with 16GB of storage. Hope the above tutorial to upgrade your Surface laptop to Windows 10 Pro is easily understandable. If you face any problem while upgrading Windows 10 S to Windows 10 Pro, do let us know in the comments section below and we will be happy to solve it for you.